I love Ms. Carmichael's books, they are always so emotional and the characters are so realistic. The issues in her books are always real issues that people often face in their lives. This book takes place during the same events as Good Together, another of Ms. Carmichael's books, except this book follows Dani Carrigan and her journey through a damaged relationship, finding herself alone and pregnant, and finally finding a man who loves her and is willing to be her friend and lover. Dani Carrigan has been secretly dating Adrian Carlson, head of the department at the university they both work at; a widowed single father, who treats her more like a mistress than a girlfriend. When Dani tells him she is pregnant he is upset and from that point on Dani begins to see, rather slowly, what a horrible guy he really is. Add that the baby might have defects and Dani feels ill prepared for all of this. Eliot Gilmore is Dani's neighbor and friend, he is there for her through thick and thin, and he secretly harbors feelings for Dani. 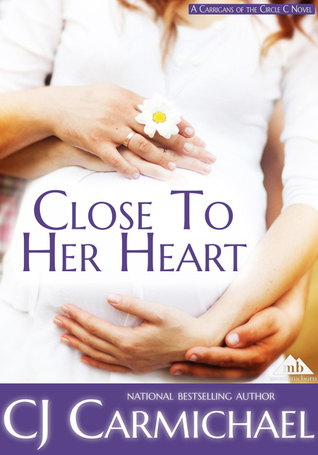 Eliot helps Dani through her pregnancy and eventually their friendship turns romantic. What I hated was that Dani took forever to see what a jerk Adrian was and how good Eliot was. That is why I gave it a 4, but other than that the story was great.